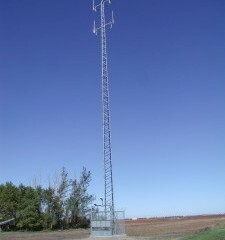 Rural Tower Network has now completed construction at the Angus,MN and Dumont, MN tower sites. As of Sept. 22nd the towers have been erected and the electrical work has been completed. Rural Tower Network now has 64 tower locations serving RTK customers in the 3 state region.